If you’re anything like me a major reason for wanting to travel has been the effect that literature has had on my up bringing and the curiosity of wanting to see what you have read about. I believe that the more you read the more likely that you at least wish to travel even if you inevitably don’t. So as a reader of Paul Theroux’s work when you say Patagonia I immediately think about the Old Patagonian Express where Theroux writes about a train line, where he felt that he was at the end of the earth. There is also another great route through Patagonia and that is the road Route 40 (Ruta 40). Ruta 40 is a highway that runs for 5000km through Argentina parallel to the Andes Mountains. The road crosses through 20 National Parks, 18 major rivers and 27 mountain passes in the Andes. Due to the remoteness of Patagonia travelling through the region can be quite challenging and a smart idea would be to find an experienced trekking company. 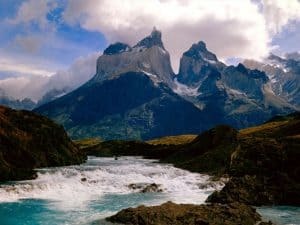 Patagonia is a dream location and is a must for anyone who is backpacking through South America. Beyond BA is a full service Destination Management Company (DMC) providing tailor-made trips to Argentina, Chile and the Antarctic region and their tours are a great way to see Patagonia.